PS4 Firmware v6.50 is out of beta and now available to download by the general public. In addition to the features mentioned in the beta, the main addition to this firmware is Remote Play support for iOS devices. Sony has released a new PS4 Firmware Beta, updating the PS4 to version v6.50. This firmware update is only available as a private beta to select PSN users and will be released to the public in the future. A new PS4 firmware update has been released today, updating the system software to v6.20. It’s a minor update to the console, and luckily it’s not mandatory so does not need to be installed in order to access the PlayStation Network. Sony has started sending out emails to join the PS4 Firmware 6.10 beta test. The new firmware doesn’t include any major consumer-facing features, but it does include the ability to change your PSN ID. The changelog for the firmware update can be found below. Sony has released a new minor firmware update for the PS4, updating the system software to v6.02. The new update is mandatory and is required to access the PlayStation Network. The changelog for this update states that this update “improves system performance”, but it presumably also fixes the PSN message bug reported last week. PS4 Firmware 6.00 was officially released today, following several weeks of beta testing. However, the new update doesn’t include any major changes or new features, which is unusual for a major release as the version number would indicate. The changelog reveals only system performance improvements. 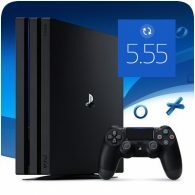 A minor PS4 firmware update was released on 17th May 2018, updating the PS4 to version v5.55. Although a minor update, this update is mandatory to access the PlayStation Network. The changelog for this update can be found below. Sony has released a new minor firmware update for the PS4 today, updating the system software to v5.53. The update is approximately 440 MB and allows you to make changes to how much data is collected from your PS4, presumably in relation to the upcoming General Data Protection Regulation (GDPR) in Europe, which comes into effect on 25th May 2018. PS4 Firmware 5.50 is now out of beta and available for all owners to download. This major firmware update adds lots of new features and improvements to the system, including Play Time Management for Parents, Supersampling Mode for PS4 Pro, improvements to the PS4 Library and more. The official changelog as been included below.